My instagram feed is full of dozens of companies asking me to turn on notifications so that my phone can buzz, screech, and nag me every single time one of these companies updates its instagram. And a large majority of these are small companies who work in the wedding industry who at the same time ask you to “be sane” and have an unplugged wedding. Which is asking your own wedding guests to turn off their own phones to be present during your wedding. I want to be present in my life more than just as a guest at someone else’s wedding. I want to soak up all the little things that barely cling onto my attention as it is. The new colors bursting forth in Spring. My wife’s adorable laughter as she cracks up at her own jokes. How warm it feels when my dog lies on my lap as I’m watching TV. These are things that I get jarred out of enjoying when my phone buzzes as it is. Every week, when I’m not shooting I honor Shabbat by turning off my phone and putting it away. My phone is silent and not even out from Friday night to Saturday night. And every week, I relish this time and realize how much I miss by simply having my phone in my hand. It draws my attention away from what’s going on around me, if only by a smidge, but it’s enough to impact my actions and my state of mind. Every week I realize how much I enjoy being forced to “entertain myself” as I can’t whip out my phone and play on instagram while in the coffee shop line. While not everyone wants to entirely put away their phone for a whole day, I do believe that each of us can benefit from having less distractions in our life. From interacting with people around us rather than on our phones. So I’m not going to beg you to have a direct notification of when I update instagram. The best thing you can do is heart my posts or add a comment. Interact with me as a human, as a small business, as a queer-owned entity. That goes for all the small business you support. 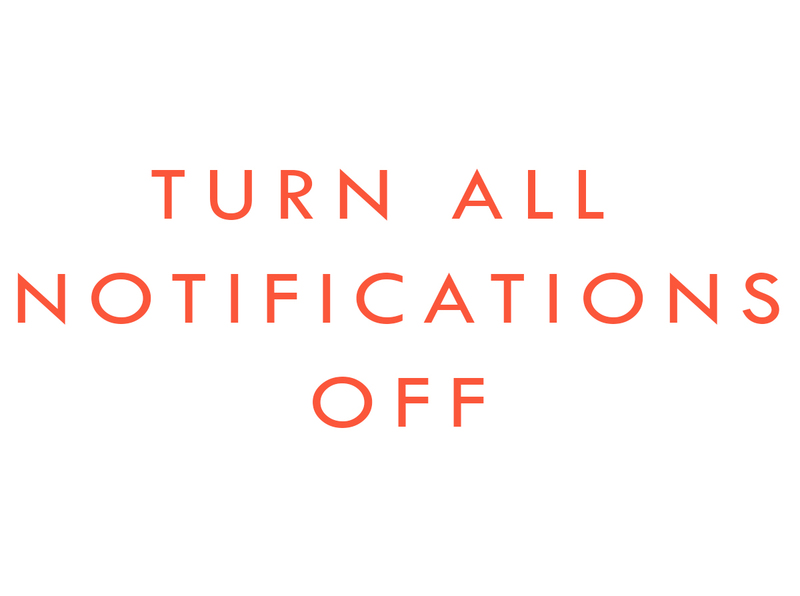 Turn off your notifications. Allow yourself some quiet time away from your phone. YES! Resounding yes. I deleted a lot of social media apps off my phone a while ago but then added them back in 🙁 I do have push notifications off, but that doesn’t help if I’m in the app all the time.